Following a successful tender process, Natural Power has been selected to deliver turbine blade inspection services on behalf of DONG Energy at wind farms in the UK, Denmark and Germany. There are 260 wind turbines covered under this framework, where this inspection programme will inform maintenance and repair schedules to ensure the turbines are delivering optimal performance. 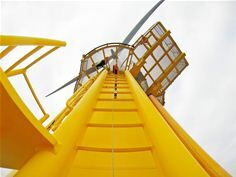 Natural Power has already delivered turbine blade inspections at DONG’s London Array, Westermost Rough and Walney Wind Farms, and is now preparing for mobilisation at Lincs Wind Farm. Natural Power is recognised across the renewable energy sector for its proven track record in inspection services and has worked across all major OEM turbine platforms. The company’s dedicated in-house inspection team utilises a semi-automated data capture solution, producing high-resolution imaging and processing software to assess the health of new and ageing turbine blades, both on and off-shore. Natural Power’s specialist team has a strong track record in the delivery of blade inspections, commissioning and end of warranty inspections along with turbine health checks, due diligence inspections, endoscopic drive train inspections and portable vibration analysis. The team has the ability to mobilise quickly and can effectively co-ordinate logistics and complimentary services. Combining strong working relationships with other leading industry partners, Natural Power aims to save clients’ time and ensure maximum output from their assets. Natural Power is a leading independent renewable energy and infrastructure consultancy employing more than 340 staff globally. The company offers proactive and integrated consultancy, management and due diligence services, backed by an innovative product range, across the onshore wind, offshore wind, wave, tidal, renewable heat, solar pv and hydro sectors, whilst maintaining a strong outlook on other new and emerging renewable energy sectors globally. Headquartered in Denmark, DONG Energy is a global leader in offshore wind power, and has been in the UK since 2004. The UK is now DONG’s primary market for offshore wind production and it has already invested around £6bn here with plans to double this investment by 2020.